By now most Internet marketers are emphasizing content creation in their online marketing strategies. 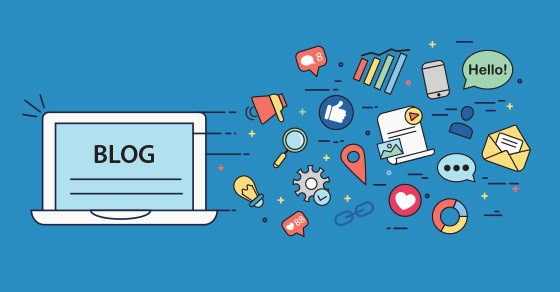 Many websites have extensive blogs with a variety of content on topics relevant to their industry but the pressure is still on to create new content. Of course there is temptation to reuse all that great stuff you already have but how should you go about it? Duplicate content will only hurt you in the long run so guest posting your old content is not an option without significant reworking. There are lots of other ways to get the most use out of each blog post. As many companies are probably running newsletter campaigns already, this is an easy way to recycle some of your best content. Pick articles that were well received and tweak them to make them current then use them as the content for your next newsletter. Many of your new subscribers have probably not seen them before and even older subscribers are unlikely to remember each and every blog post. Facebook Promoted Posts, Promoted Tweets, and sharing through Google + Communities are also great ways to get a little bit more attention for your stellar content. Boosted posts on Facebook ensure that more people see your content by placing it higher in the News Feed. Be sure to use your best blog posts and encourage your readers to share it with their social circles. With some extra formatting and a little bit of extra content it is easy to turn your wealth of past articles into an ebook. Organize your posts by topic or theme and write up and introduction for the collection. Be sure to include at least a few pieces of exclusive content to make the book appealing and then use it as a free offer to attract more customers to your website. They will get some useful information that builds your authority and you will have found a new lead. Depending on the extent of your blog and what categories you cover you may be able to create more than one book focused on the different aspects of your business. Blog posts and the comments on them are a great source of information for beefing up your FAQ section with improved answers. You may also want to consider writing wrap-up posts at the end of each month that include links to the things you discussed and summaries of interesting discussions which occurred in the comments. This is a great way of getting extra content for your blog itself. Category pages can also be a helpful tool in creating more content for your blog and reusing some of the research put into your previous posts. By writing summaries of each post and grouping them by topics you can create new unique content and pages for your site with minimal effort. Becoming increasingly possible in social media circles thanks to Instagram, Throwback Thursdays encourage users to post old photos on social media. Using this idea, make it a feature on your Facebook page and re-share old content that was particularly popular or influential in its time. Nostalgia can be a powerful emotion and can help to garner positive feelings for your brand. Don’t forget about all the great offline applications for your past content. Take a look at what you have and consider who this information would be useful to: many of your blog posts can probably be repurposed into offline media such as marketing pamphlets or training manuals.